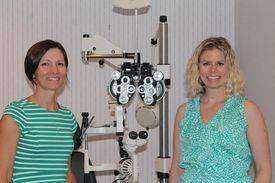 Are You Looking for Family Eye Care in North Charleston, SC? From reliable eye exams and contact lens fittings, to laser vision correction and corneal mapping, our optometrists provide comprehensive eye care to patients of all ages. At Lesslie Vision Care, we also treat a range of conditions such as glaucoma, the diabetic eye, dry eye and macular degeneration. Our boutique service offers a customized skincare routine developed by world renowned dermatologists.